Hello everyone! I cannot tell you how thrilled I was when Pamela asked me to participate in her "How I Found My Style Sundays" series. This is truly an honor, and I can't wait to share my style with you! 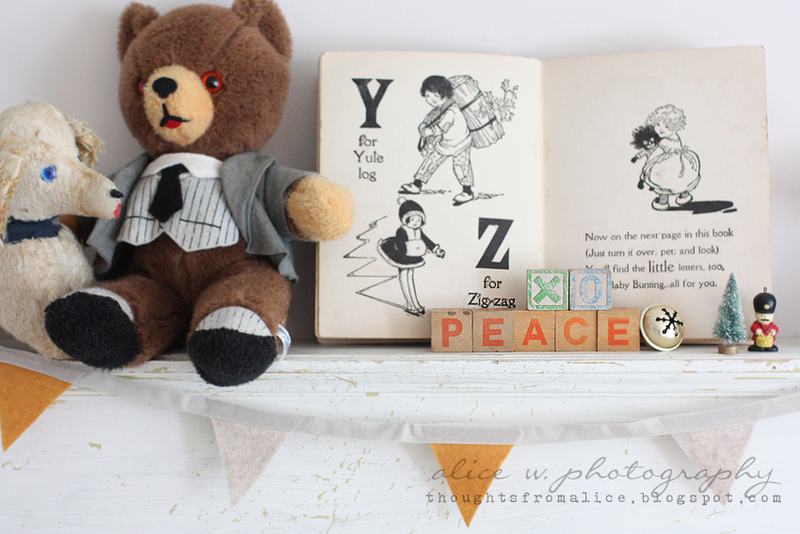 My name is Alice W. and my blog, Thoughts from Alice, is all about vintage inspired interior decorating, diy projects, house renovations, and finding beauty in imperfection. I have two little ones, so life is often crazy, but I wouldn't change it for anything. 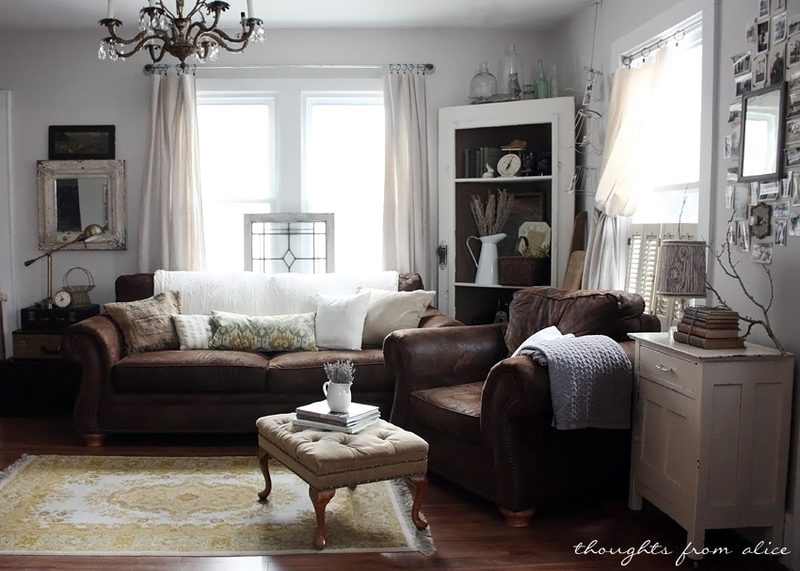 Defining my decorating style as one thing is pretty impossible. 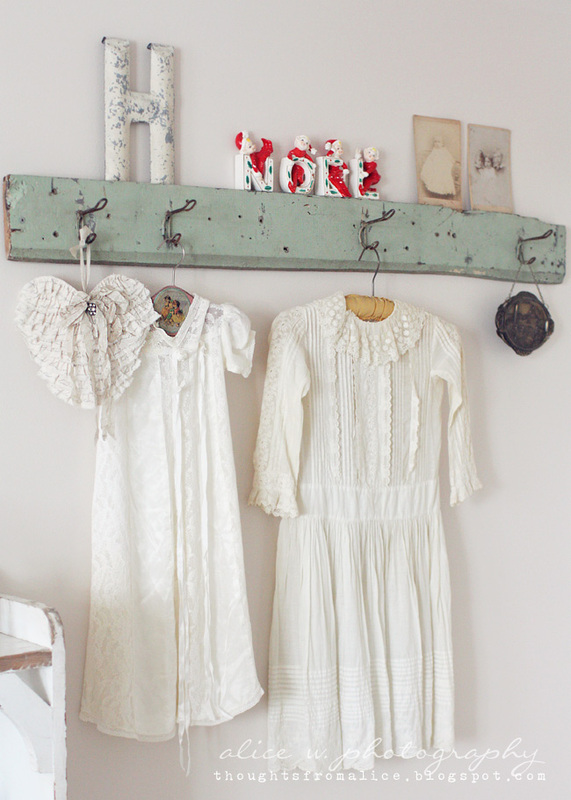 First and foremost, I am a vintage girl at heart and always have been. 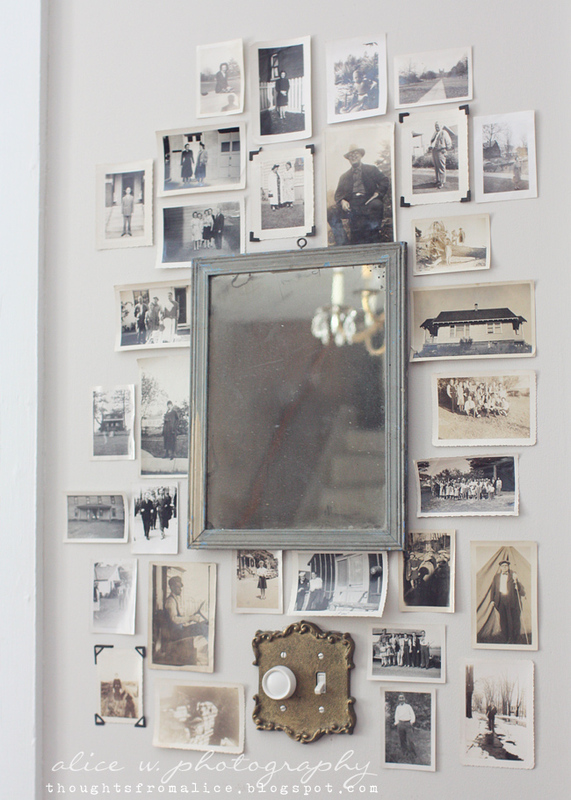 I love scouring thrift stores, flea markets, yard sales, even the side of the road, for one-of-a-kind treasures for my home. 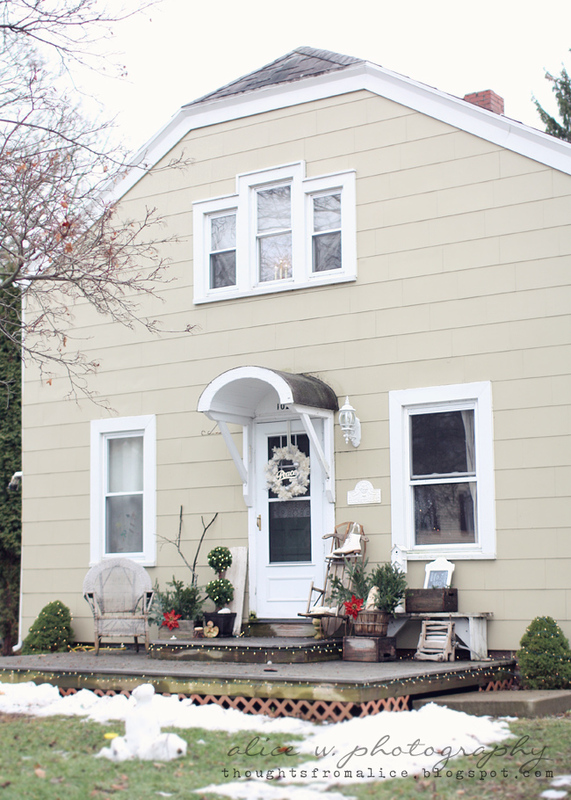 I am constantly coming up with creative ideas for our 1300 square foot "eclectic cottage", as I like to call the house that we purchased back in 2010. 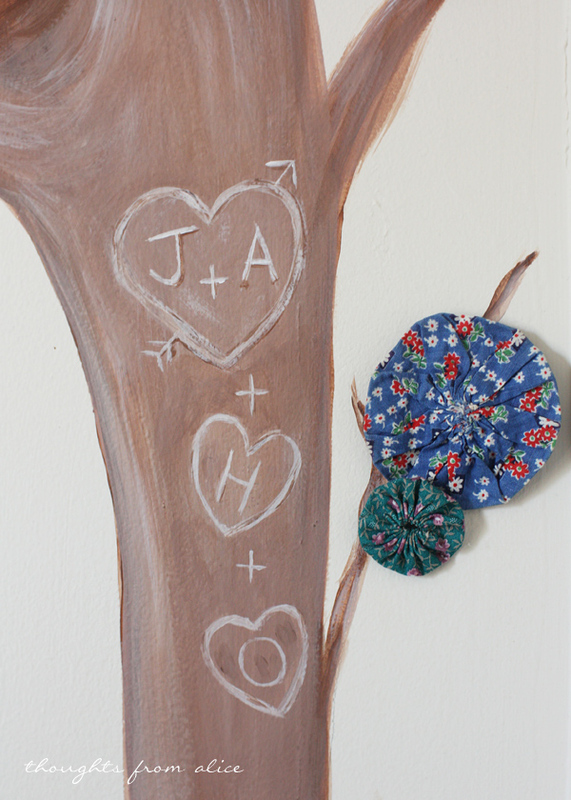 My husband and I are both artistic people, so that exudes from every corner of our home. We are working on renovating each room to make it our own. 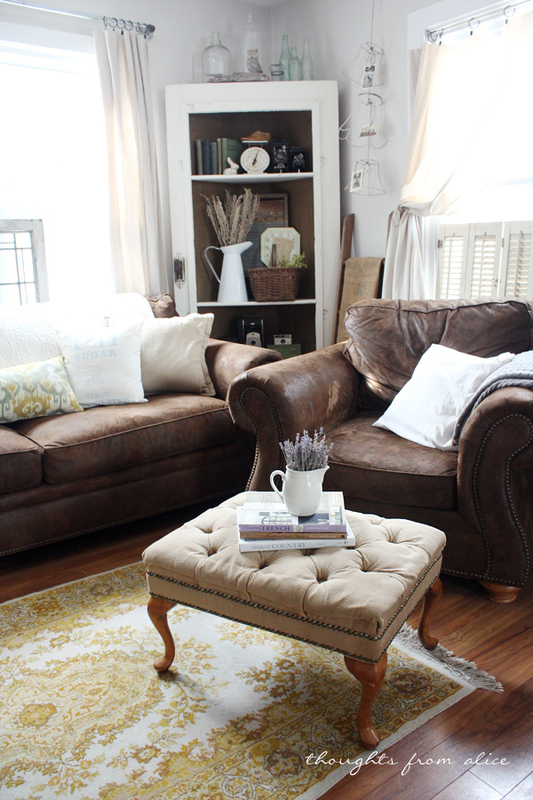 The main style of our home is rustic, industrial farmhouse. 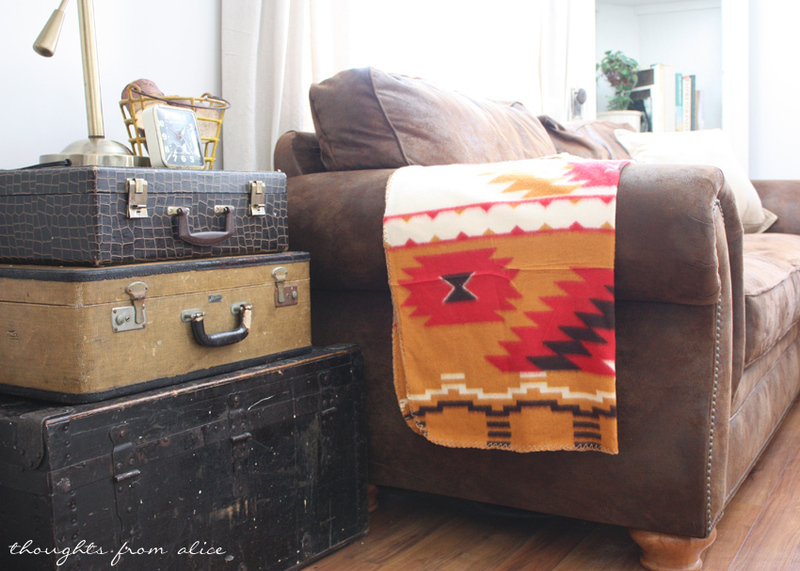 The living room is full of my collections and has a lived-in, comfortable feel. My style is fairly thrifty. Getting the best bargain, while still getting quality pieces is key for me. 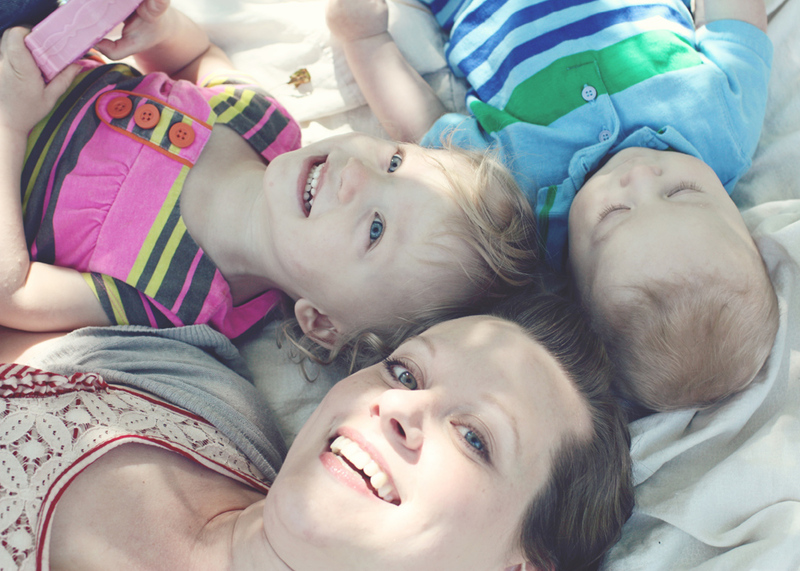 I like to say that I am a "semi-work from home mom" so having only one main income keeps us on our creative toes. My style has changed a lot since my husband and I had our first child back in 2011. I enjoy a more casual environment and want our surroundings to be kid-friendly. 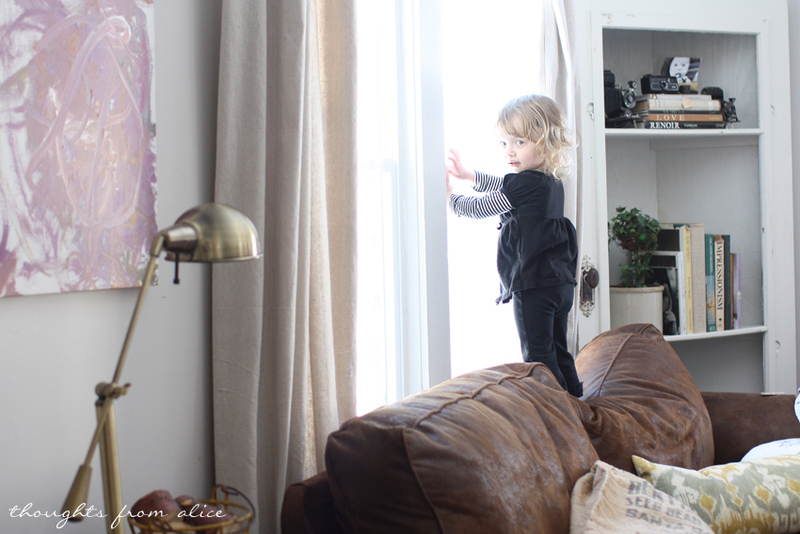 We even purchased a dark brown faux suede microfiber couch and chair last year (something that my former, "I only decorate in white" self would be dismayed by), but they are so convenient for sustaining all of the use (and spills!) that we can dish out. My niche is vignette decorating. 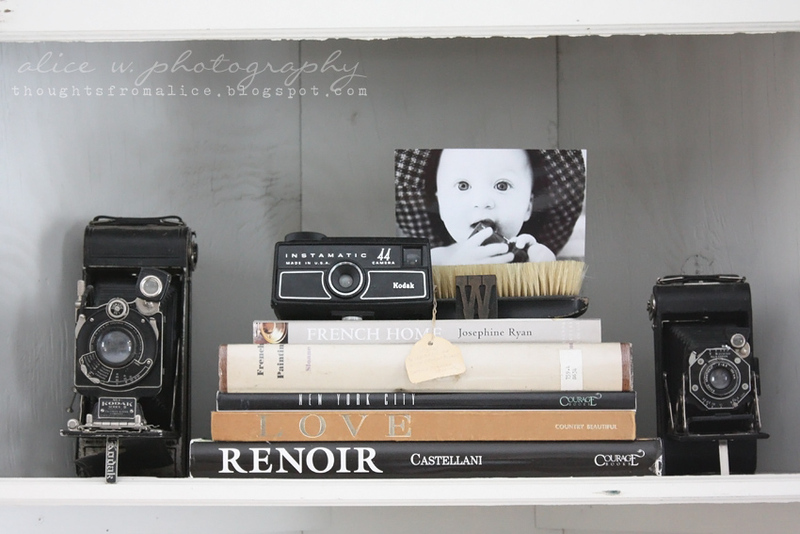 Putting together groupings of my treasures in creative and new ways has always come easily to me. 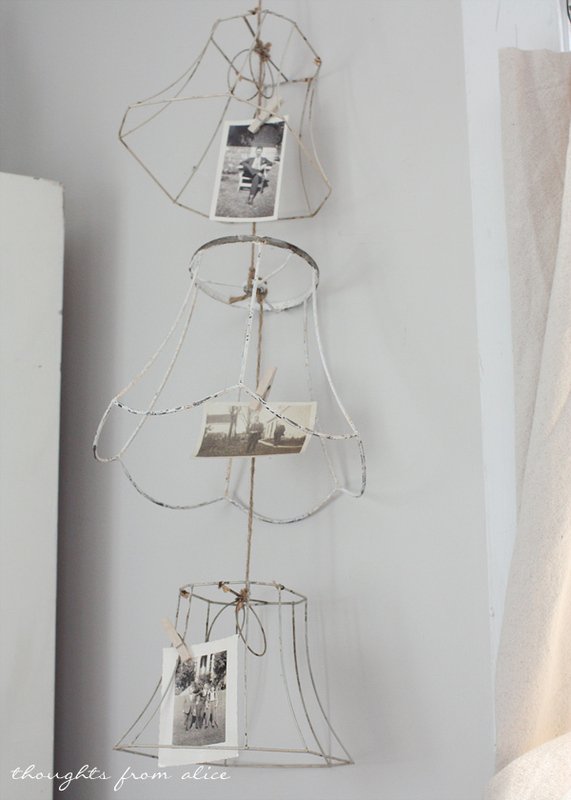 I also love repurposing old or otherwise discarded items into conversation pieces like my wire lampshade hanging. 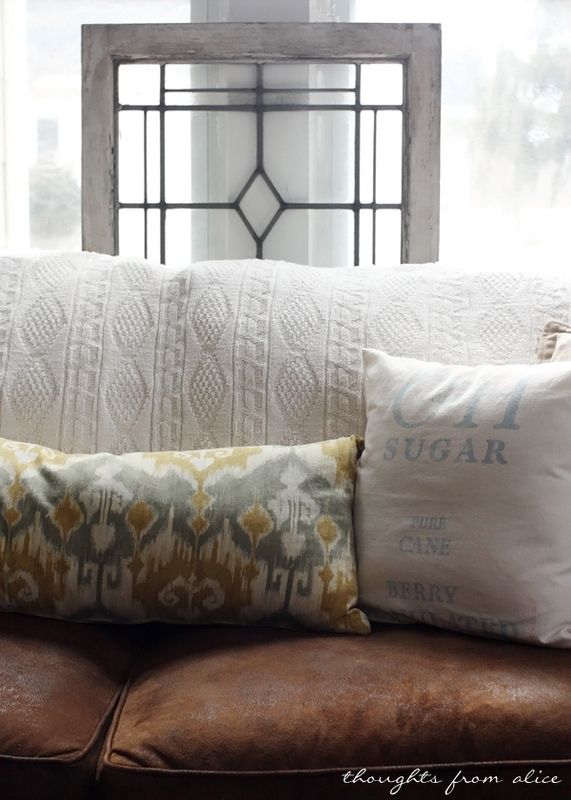 Lately, I have been drawn to bolder patterns, ikat fabrics and touches of color and change them out as the mood strikes. I am always tweaking my decor from one day to the next. I tire of the same look often, so change is always necessary. I am also passionate about decorating for the seasons. The picture above was taken in my dining room in the fall of 2012 and the shot below was the same space two months later. I changed out our hutch for our salvaged mantel. 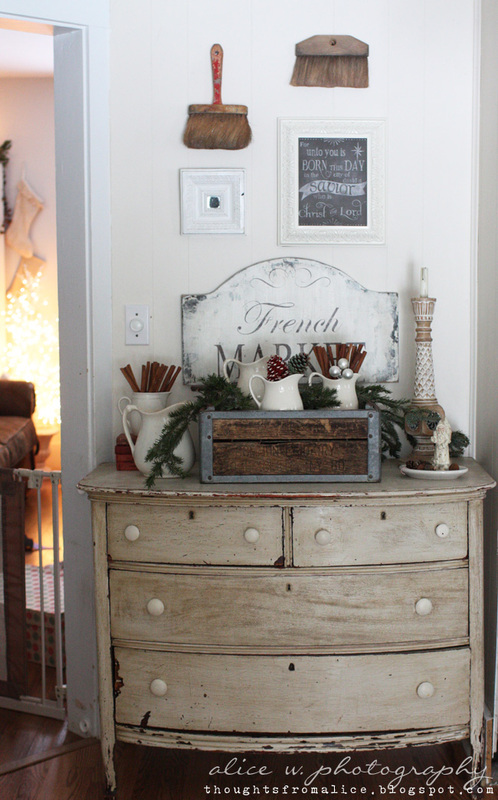 Here is a rustic vignette from the dining room this past Christmas. 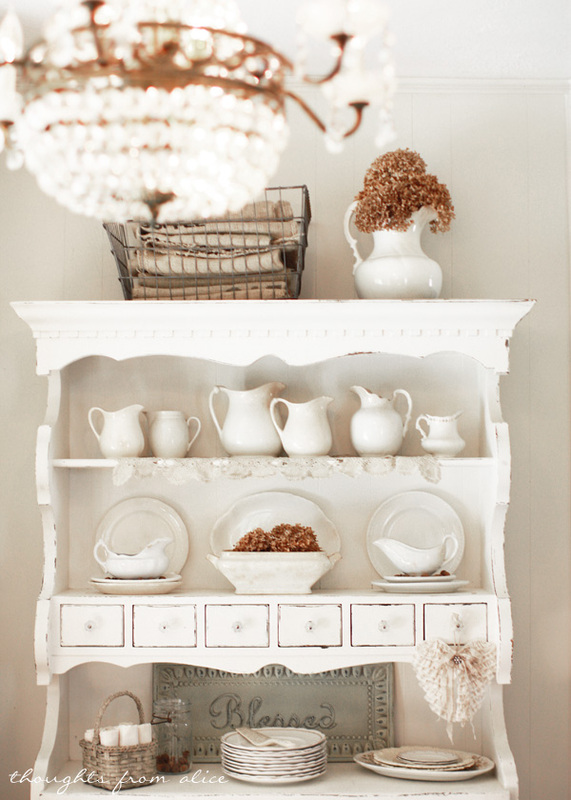 My collections are some of the most treasured items I have found for our home. They stay the same no matter what trend I find myself drawn to. 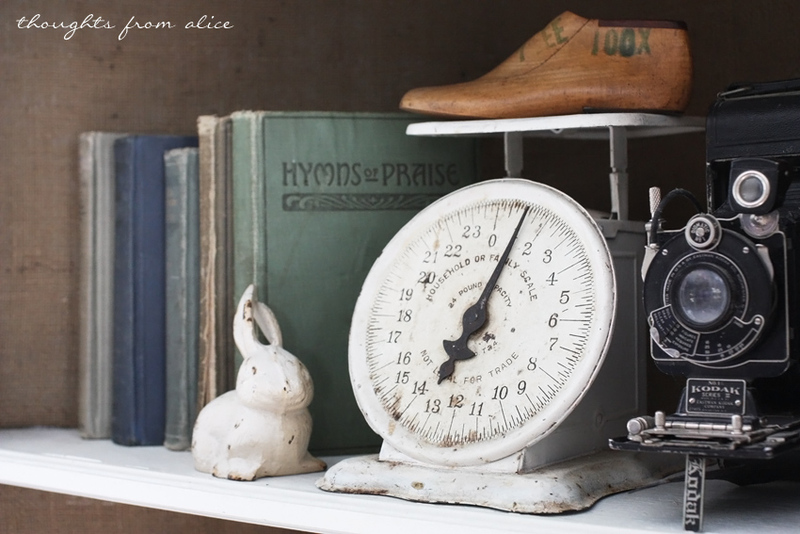 I love ironstone, vintage cameras and alarm clocks, old bottles and vintage scales to name a few. I can remember the exact time I began to find my own style. I was home from college for the summer and watched a Rachel Ashwell decorating show on television. 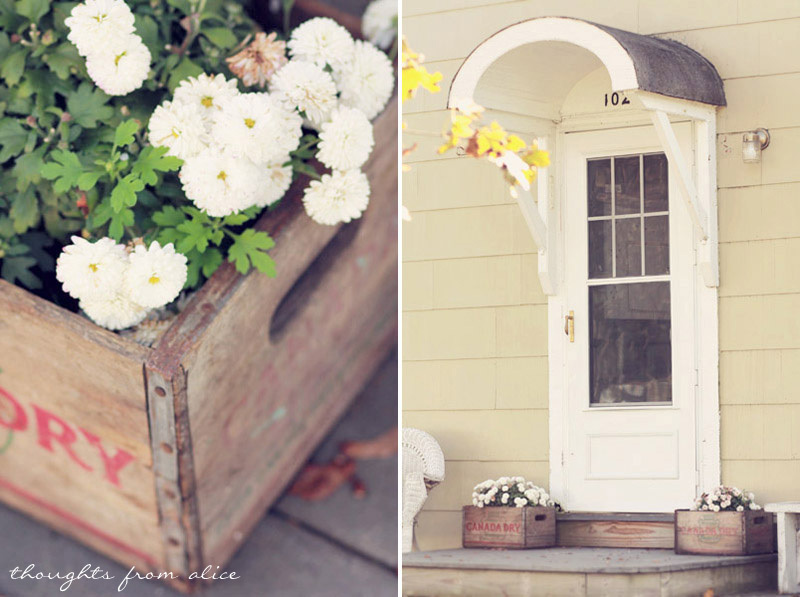 I was enamored with her Shabby Chic style. 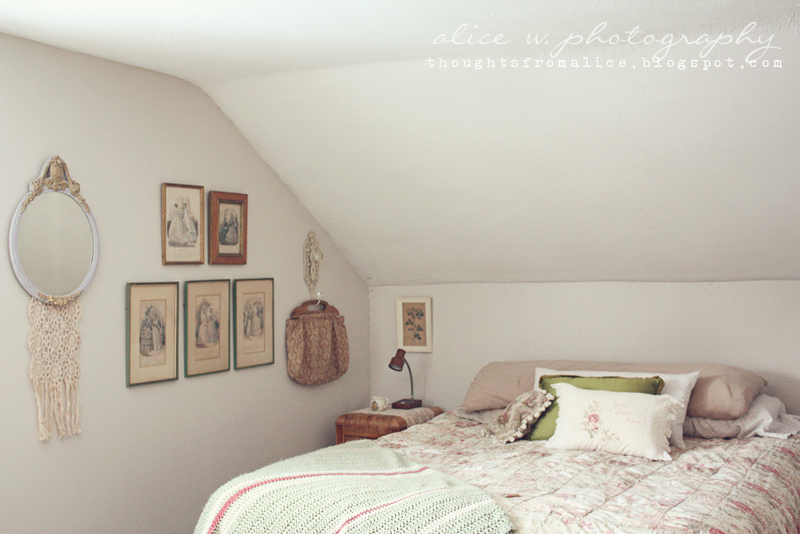 That same day, I made a plan to transform my small bedroom. 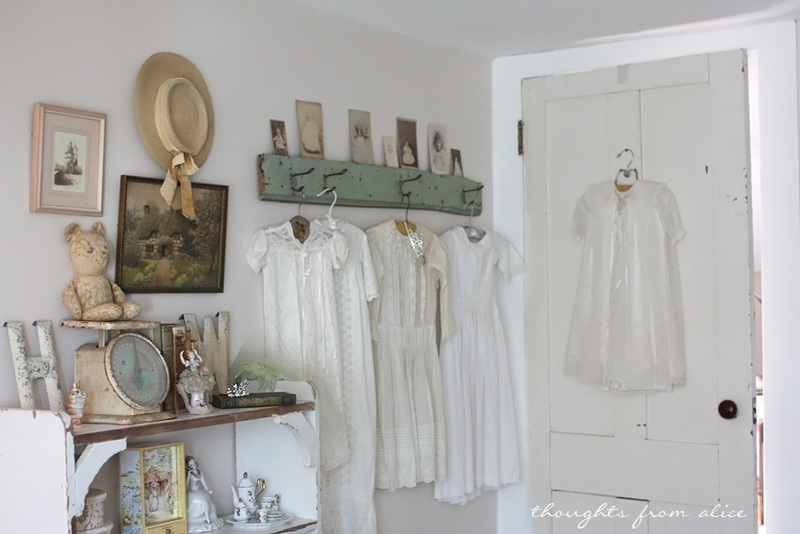 That summer, I painted the whole thing white and cream, added lacey touches, vintage bottles, gold antiques and romantic details. That was about 12 years ago now, and my style has evolved a lot since then. 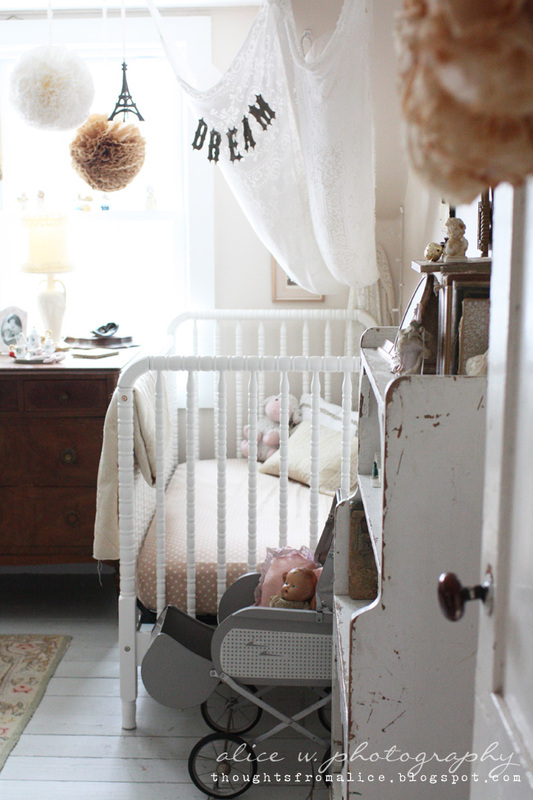 Even though, I still remember the details of the room that I loved so much. Wish I had taken pictures back then! Many of the pieces I used in that room are now in my daughter, Hazel's, room, which she now shares with her brother, Owen. 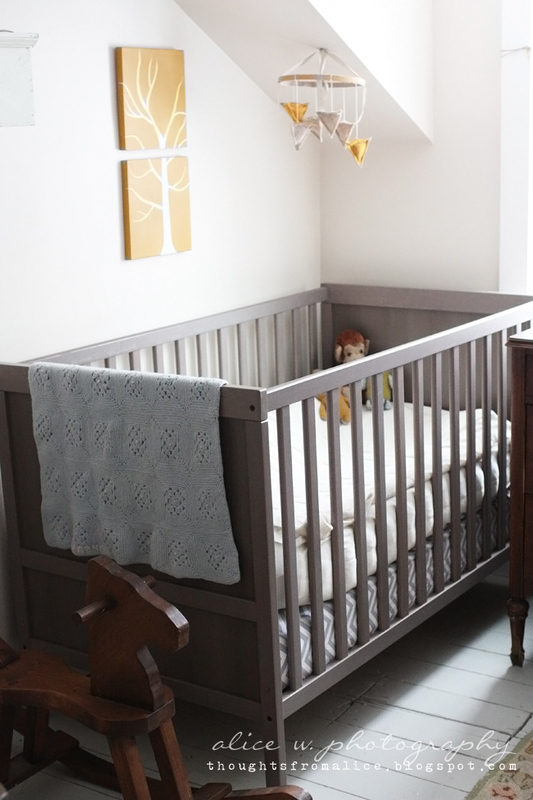 We only have a two bedroom house, so I have to get pretty creative dividing the room for a girl and a boy. I love adding special touches just for them all around our home. 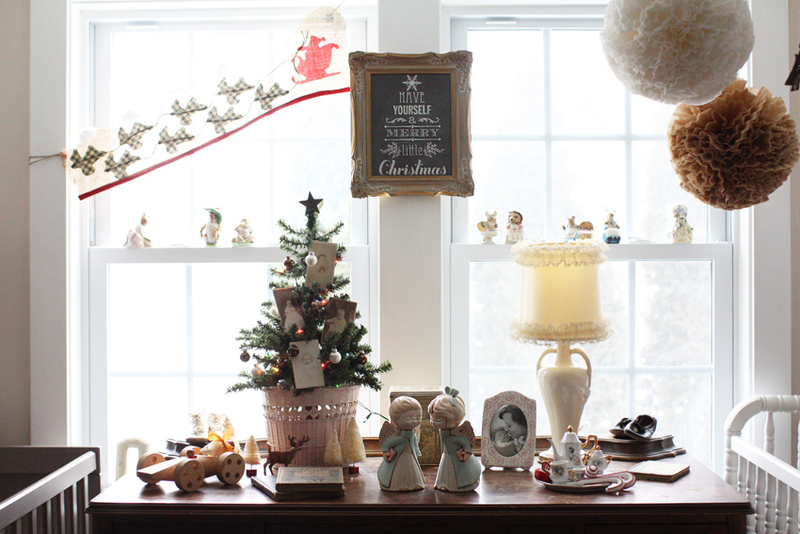 Here are some vignettes from their bedroom at Christmas time last year. Many of the rooms in my home are a work in progress, and I am learning to take it day by day (even though most days I just want it all done already!). My bedroom is one such room. It needs a lot of tweaking to become my style, but here it is in its current state. Eventually, I want it to have a more rustic, industrial look. Having children has taught me so much about learning to love my home. Making a house a home is all about the love that is shared and making it most comfortable for the people who live in it all the time. Not just for when visitors come or a blog. I want to make my house fun and inviting for them while they grow up, so when they look back they always have fond memories of home. Most days my living room floor is covered in toys, dishes and laundry are piled up, and I have a million and one projects yet to be done, but if my kids are happy and feel safe in our little space on this planet, that is really all the matters. I think as long as I live, my style will continue to grow and change, but I firmly believe a beautiful and comfortable home can be accomplished on any budget no matter the size of the home. Here is an exterior shot of our humble house taken at Christmas. Eventually we would like to paint the siding gray and add some white shutters, among some other changes, to give it more curb appeal. My advice to others looking to find their own style is to begin by working with what you have. Get creative! 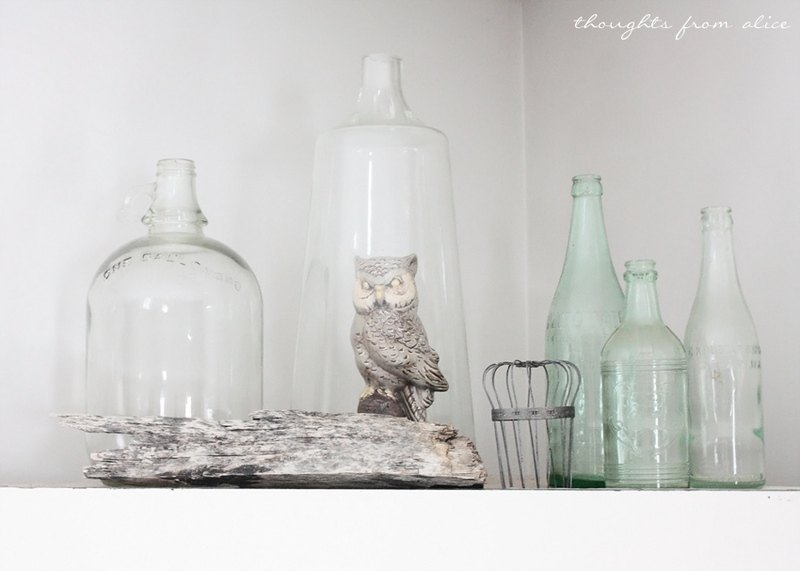 I am constantly scouring my home for things that I can "re-imagine" and reuse in a new way. Sometimes having an outsider come and change your things can inspire you with ideas you may never have thought of. My mom is this person for me. If you don't love something or have a use for it...let it go. This is something I have been working on a lot in the past several months. 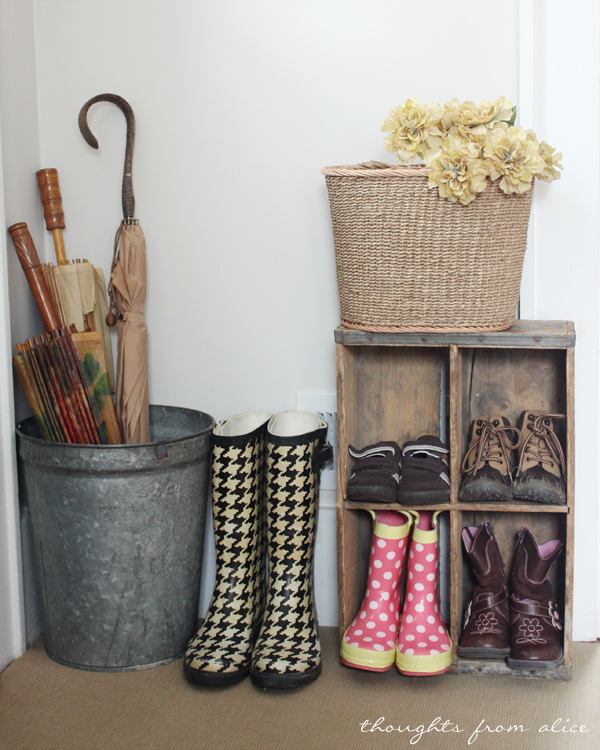 Cluttering up your home with lots of things you only semi-like will only weigh you down. Don't let perfection hold you back. This too is one of my struggles. If I can't finish something around my home "perfectly", sometimes I make the mistake of not doing it at all. But we need to be brave and take the plunge. 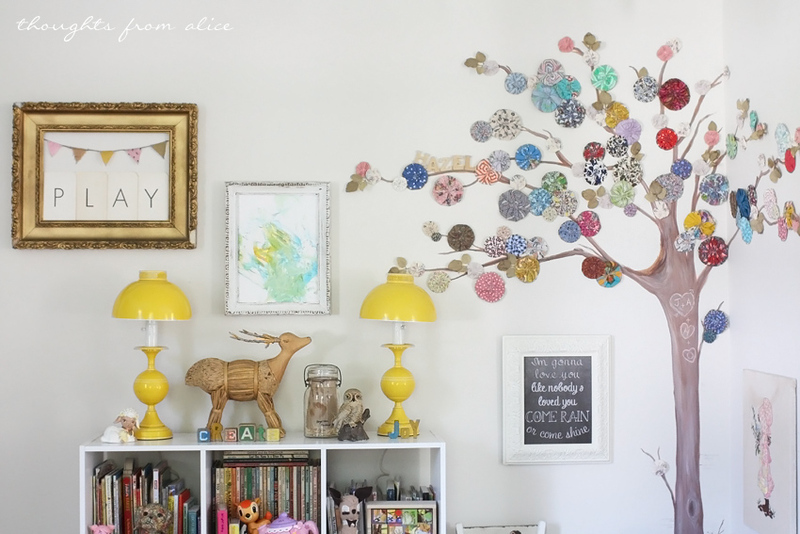 Hang that gallery wall you have been imagining. Paint that room the color of your dreams. Whatever it is that you might be afraid of "not working out", go for it! You might surprise yourself. And most of all, don't compare yourself to others. I have struggled a lot with this in the past, and still do from time to time. But as the saying goes, "Comparison is the thief of joy." Whenever I find myself losing joy over my home or circumstances, I have to stop and take inventory of all that I have (and maybe take a break from Pinterest for a little while!). 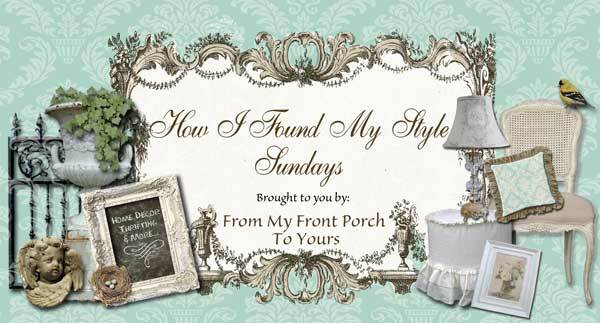 Thank you for letting me share how I found my style with you, and I would like to extend a huge note of gratitude to Pamela for featuring me! Thank you so very much Alice for sharing your beautiful family and home with us today! I am so glad to have found your blog. Thanks again for the opportunity Pamela! I love reading this post about Alice's style! 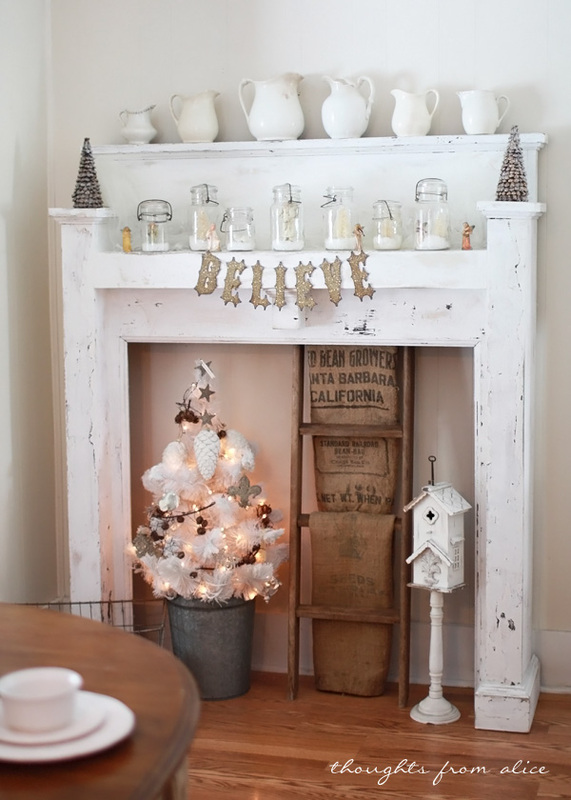 She has done a wonderful job decorating her home and I love her style. She has given some great tips, too, especially about not comparing yourself to others. I think sometimes blogs can be a blessing and a curse in that regard! Love her. I too love her style. Thanks for sharing her with us all. I love how she makes the house for her and her family. Those are the best houses. Lovely. Yes, I just found her blog this weekend! Great feature! Love her style! Oh this is one of the best guests y ou have EVER had - she nailed it - what an amazing attitude. Love her style but really love HER - well done, Pamela. I am going to go join her blog now. 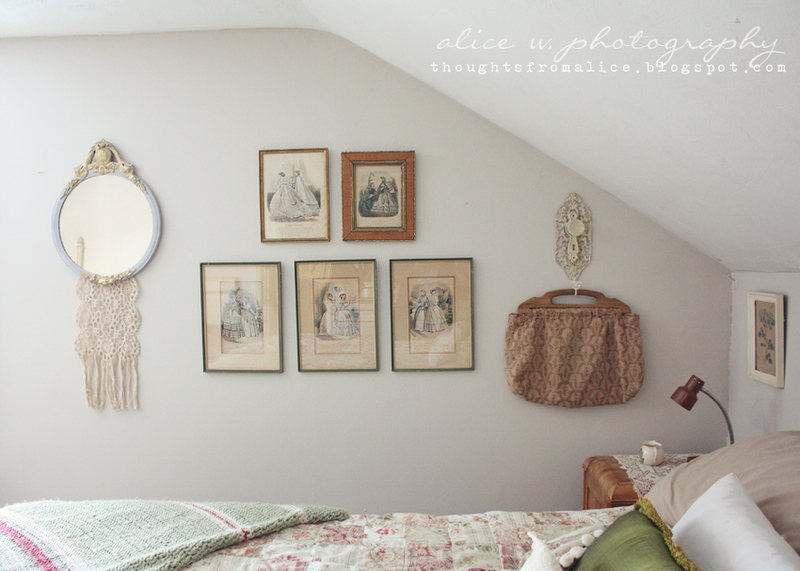 Great feature ~ I love Alice's beautiful style! And very wonderful advice from her at the end! I needed to hear that. beautiful feature and I love her style... looking forward to following her!! What an incredibly beautiful home with so many creative things!...I love the lamp shade wire hanging...and every detail in her home is incredible....thanks Pamela for presenting Alice's gorgeous home today...so enjoyed the tour...back to go through it again so not to miss any details!! Such a wonderful post, Alice! 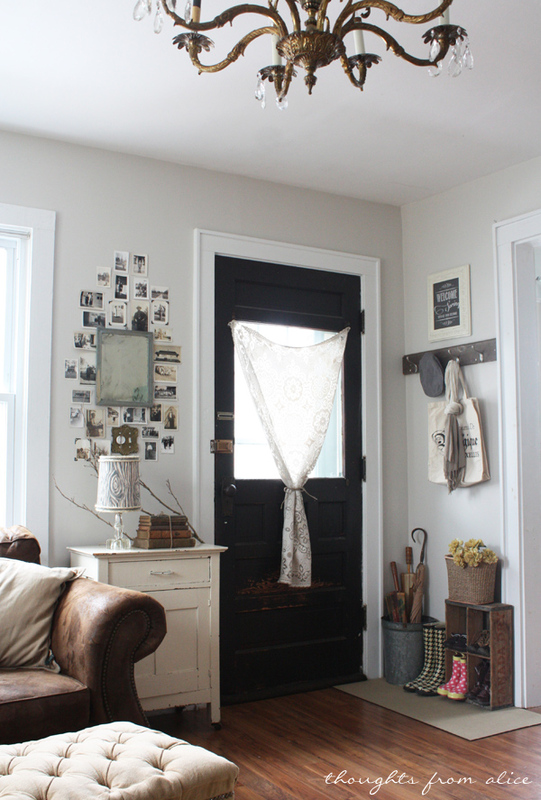 I love your style and your perspective about creating a real home for your family. Thanks for sharing Alice over here, Pamela! 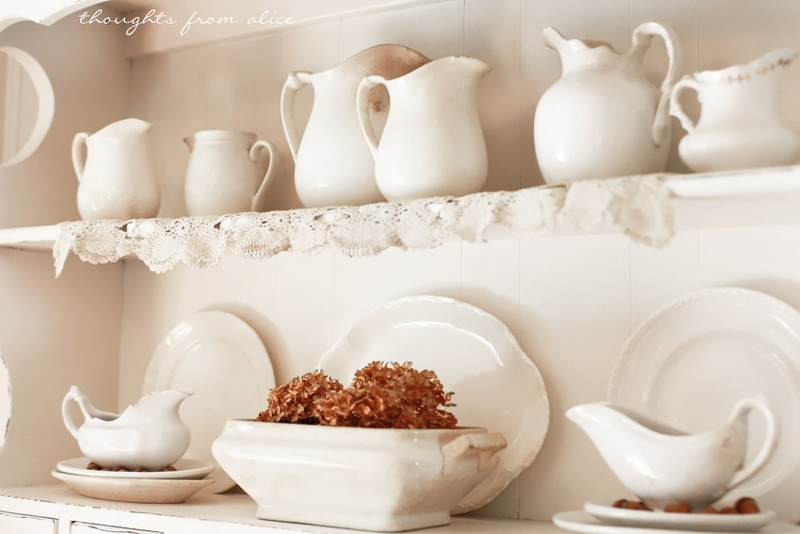 I really enjoyed seeing Alice's home and learning more about her and her style. I haven't seen her blog before. 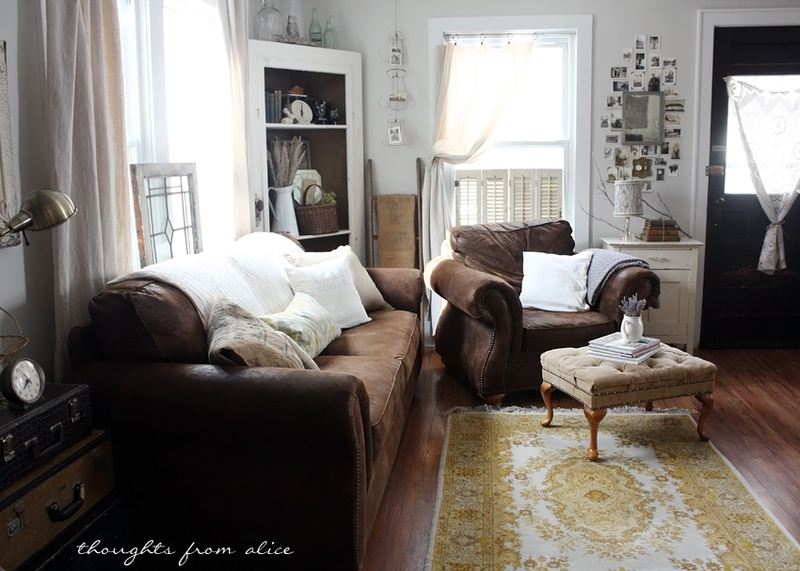 I really like her style and most of all her attitude towards decorating. This is one of my favorite blogs! What an amazing house tour. Thanks for sharing! I've been following Alice for the last few months. I really enjoy her! Great job, Alice! !